moves into the southwestern Gulf of Mexico by the end of the week. 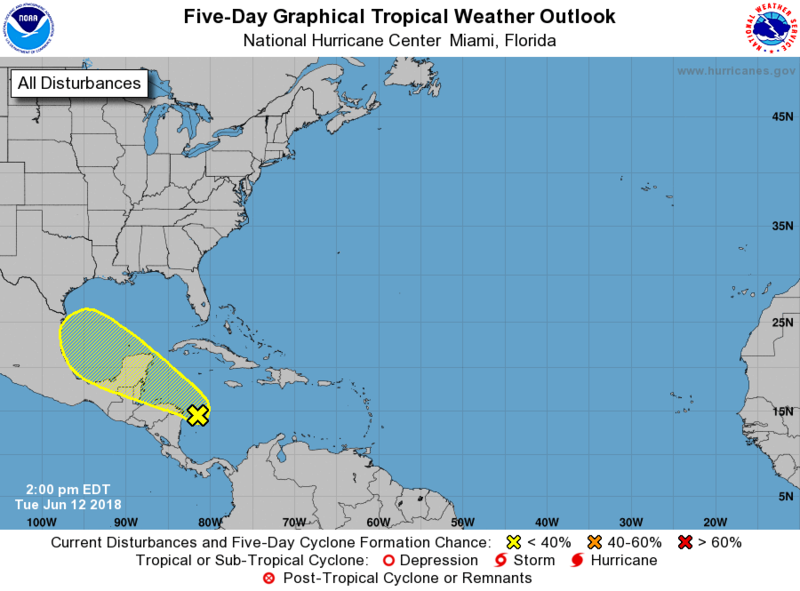 Belize, Guatemala, and the Yucatan Peninsula through Thursday. Do we have an update on This.... Fishing trips.. Its fishing trips making me ask! It is not looking like much. Interesting developments on the European and its ensembles. It has a piece of vorticity dragged north behind former 91L and develops it in the Bay of Campeche and Western Gulf. An approaching trough in the Plains may pull some of its moisture north into the SE for next week. A few ensembles members bring this into the Western Gulf Coast....just something to watch.